219 E Main Street is located in Independence California. This quite town is located about 45 minutes South of Bishop. You will find Inyo County Court House and Offices located in this charming community. 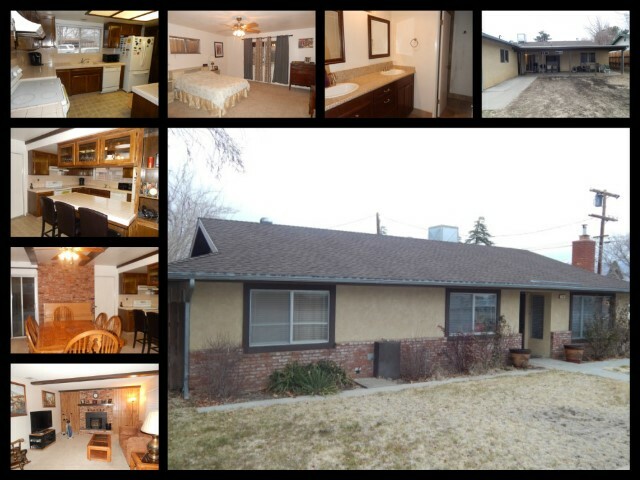 This 3 bedroom 2 bath home offers a large open kitchen, breakfast bar and formal dining area. The master bedroom offers a sitting area and updated bathroom, including a tiled shower. The living room offers a pellet stove insert with brick hearth and wooden mantle, perfect for those cold winter nights. Exiting from the dining room sliding glass door you enter the back yard with a covered patio. The fully fenced backyard offers easy yard maintenance and automatic sprinklers. Garden areas available, if you’re looking to grow your own crops, or want a flower garden. Views of both the White and Sierra Nevada Mountain ranges from the front and back yards.